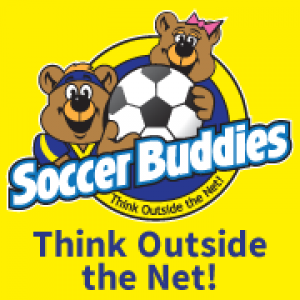 Soccer Buddies is a child development soccer program for children ages 15 months through 12 years. Our highly skilled instructors take a unique approach to building a strong foundation of balance, agility, coordination and confidence. You won't just see a soccer ball and a net on our field. Our slogan is THINK OUTSIDE THE NET for a reason'¦.because we do just that. We provide an amazingly FUN environment for children to learn through their language'¦imaginative play. Our high-energy well trained coaches will take your child on an imaginative roller coaster ride through a jungle safari and into outer space all the while building their motor skills, physical fitness, confidence, coordination and more all through the game of soccer. If your child has never played soccer or has played soccer before, our wide range of classes will suit their needs.